Soft white tissues in cube boxes containing 90 2-Ply sheets. 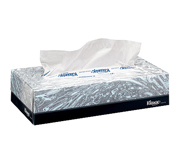 Soft white tissues in rectangular boxes containing 100 2-Ply sheets. 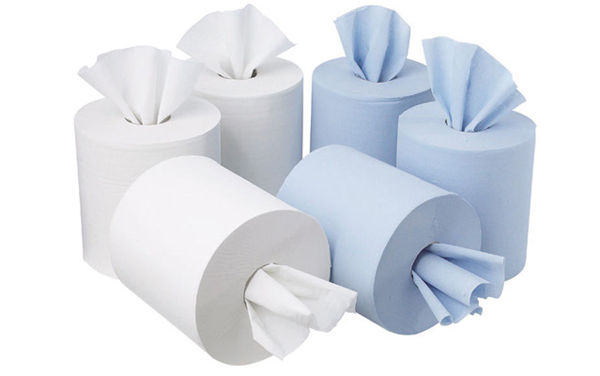 Soft and strong economy toilet rolls. Sheet sixe - 95mm x 112mm and 320 sheets per roll. 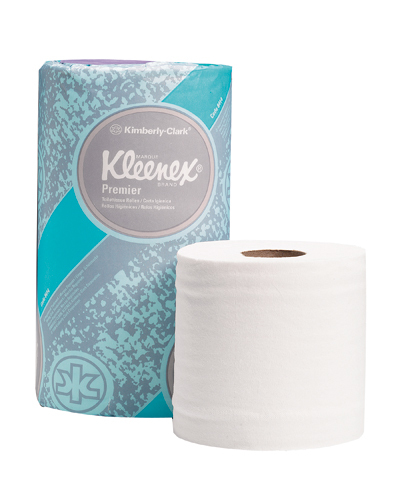 Sold individually in packs of 36 rolls. White high quality toilet tissue in 2 roll packs. 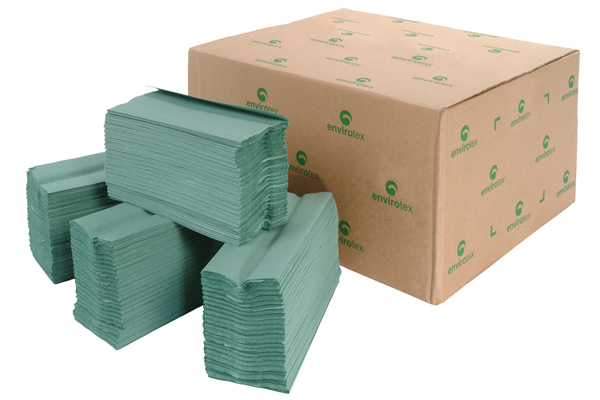 Rolls have 240 sheets and each sheet measures: 125mm x 110mm. 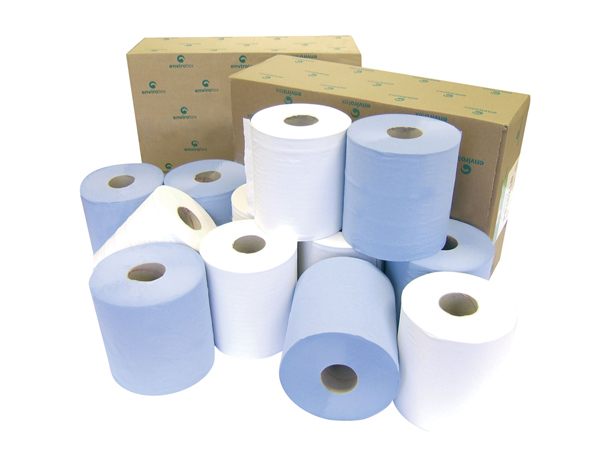 Recycled, soft and strong white jumbo toilet rolls. 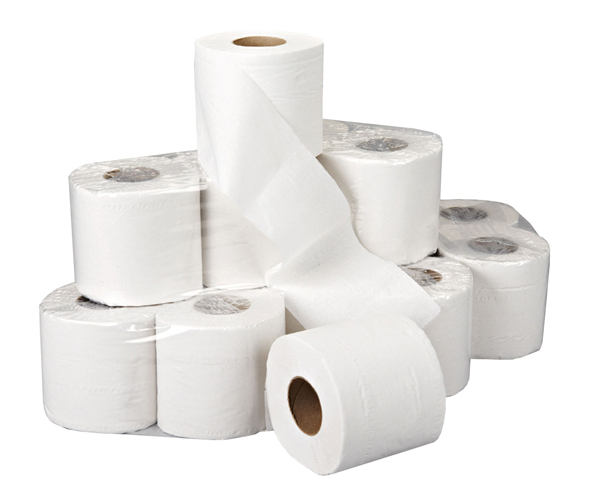 Sold in packs of 6 rolls of 410m (3075 sheets per roll). White plastic lockable dispensed to hold Jumbo Maxi toilet rolls. 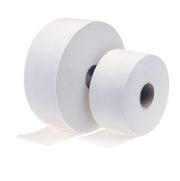 Sold in packs of 6 rolls of 200m (1503 sheets per roll). 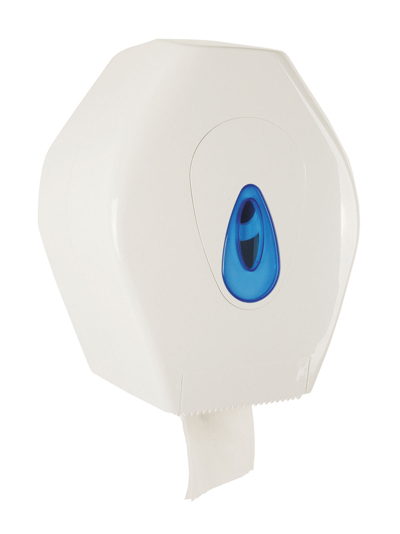 White plastic lockable dispensed to hold Jumbo Mini toilet rolls. Sold in boxes of six 197mm x 300M rolls. 150M in length, 405 sheets per roll. 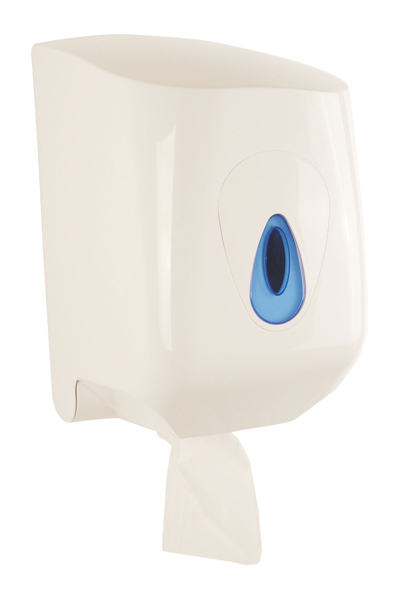 A white impact resistant centre pull dispenser with a lockable cover to hold Envirotex standard centre pull rolls. Great value recycled towels. Sheet size - 242mm x 222mm. Sold in individual packs of 250 sheets. 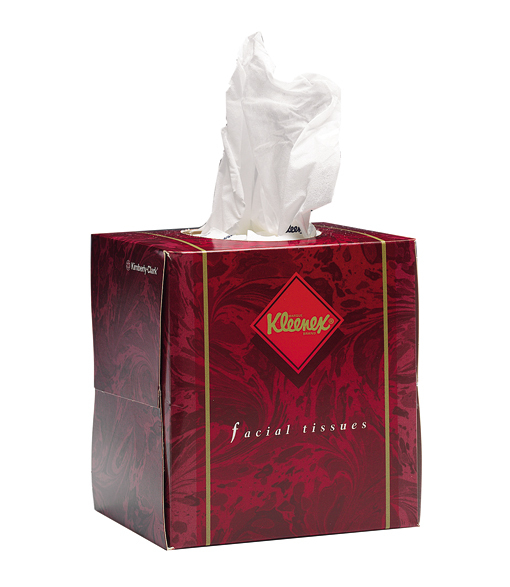 Also available in cartons of 20 units (at a special discounted price).